Description: It is a planetarium for your computer. 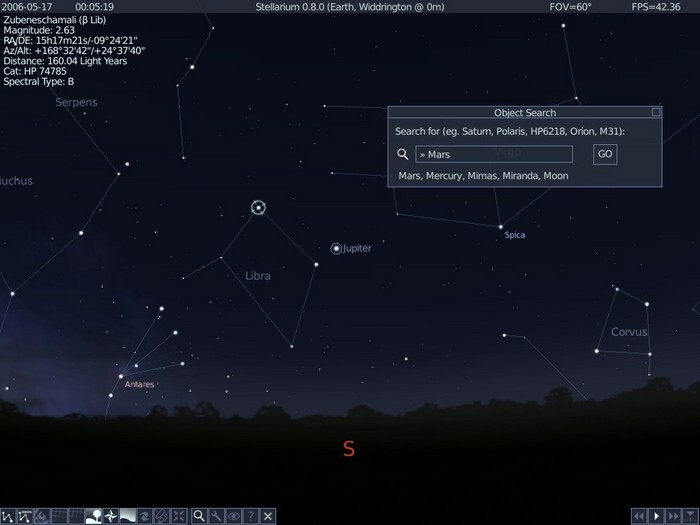 It shows a realistic sky in 3D, just like what you see with the naked eye, binoculars or a telescope, with realistic atmosphere, sunrise and sunset. It features over 600,000 stars from the default catalogue and more than 210 million stars from the extra catalogue, images of nebulae and planets. You can also read this Guide for more info.